The furniture and bed frame industries are the largest consumers of Jersey Shore Steel angle. Our raw steel angles are used extensively by the world’s top manufacturers of bed frames and side rails, crib frames, pop-up units, and motion furniture. 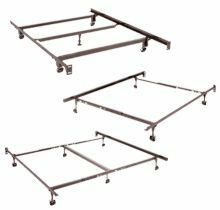 In addition to bed frames and other furniture components, Jersey Shore Steel raw steel angle applications include casket bed frames, scaffolding supports, table and desk supports, and farm machinery. For more information on raw steel angle applications including bed frames and other furniture components, e-mail us today or call toll free 800-833-0277 or dial direct +1 (570) 753-3000. At Jersey Shore Steel, our fabricated steel angles are manufactured to precise specifications and are used in an array of applications across a variety of industries. From shelving and door supports to sign stands and barricade legs, Jersey Shore Steel fabricated steel angles provide an economical, high-strength angle solution. And, with our custom fabrication capabilities, Jersey Shore Steel can also manufacture steel angles ideal for fencing, orchard, and vineyard applications. Our rail steel fabricated posts can be used for a variety of purposes. A 1x1x60″ post (FPI4) is approximately 4# per piece, pointed on one end and can be used as a sign post, fence post, reflector post or even a garden stake. If a tad bit more substantial pointed post is what you require, consider using a 1-1/4x1-1/4x60″ (NPA3) post that weighs approximately 4.36# per piece. High carbon rail-steel products from Jersey Shore Steel are MADE IN THE USA and provide the ultimate in strength, durability and performance. And, as an added bonus, rail steel angles from Jersey Shore Steel are made from 100% recycled railroad rails! Whatever your rail steel fabrication needs, please contact our sales department at 800-833-0277 or +1 (570) 753-3000.